CADD Centre offers training to engineering students and professionals on leading software products in their domains. Designing courses, developing course content, and delivering courses with the support of our franchise partners has, therefore, been our core value creation process. We collaborate with software developers and user industries before designing a course, and seek their contributions in developing course content. Mechanical engineers design, analyse and help manufacture mechanical tools, engines, and machines. hey, carry out a wide range of design and analysis activities, in the product development lifecycle. Their key tasks include: Concept Sketching, 2D Design & Drafting, 3D Modeling, Prototyping, and Performance & Safety Analysis. These are 80-hour certificate programmes. Students pursuing diploma and degree programmes in Mechanical Engineering can enroll in these basic CAD programmes. This course is focused on the product design space and will help students design engineering ideas, transform their ideas into CAD models, using best industry practices, validating their models using CAE tools and design for manufacturing. It is a course open for mechanical engineering professionals and students of degree or master courses. CAD software enables accurate aerospace design. CAD tools generate blueprints, schematics, and calculations with regard to passenger or cargo payload, range, fuel efficiency, high speed maneuvers, among others. The professional courses provide the students complete understanding on the drafting and modeling as well as analysis tools used in Mechanical, Automotive, Aerospace, and other such industries. The professional course in product design provides the participants theoretical and practical knowledge in the application of CAD software in the various stages of product development. 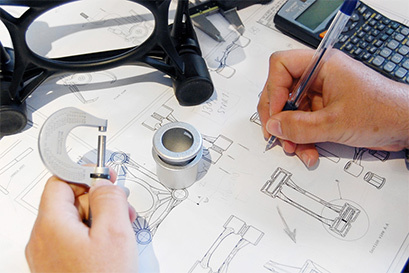 The diploma program in product design and analysis equips the participants with the tools required to carry out tasks with CAD software in the stages of product development and execution. The diploma program focuses on the aspects of product development that are dependent on CAD software. This course equips participants with software tools and concepts related to product design. The diploma program on Computer Aided Engineering enables the user to carry out validation process, which is an essential part of product development cycle. The course will impart thorough knowledge on product validation. It covers basic design concepts and four software products related to 2D Drawing, and 3D modeling. Engineering students who want to hone their design skills will find the course useful. It is a 40-hour course.